Bigben is almost ready to launch its highly awaited “TT Isle of Man” videogame, several years after the last game about the famous Tourist Trophy was released. And the premises are just amazing. On Wednesday 22nd March, the beautiful location of the Sefton Hotel, Douglas (Isle of Man), hosted a very private presentation of the game. John McGuinness and Steve Mercer were the guest testers for the event, so that the French videogame company could start to gain some feedbacks from who actually ride on the Mountain Course. 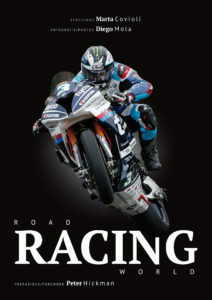 RoadRacingCore has been chosen by Bigben as the only media to attend this important event. The first impressions were enthusiastic: the videogame is so realistic that it resembles a true onboard lap of the TT Course and it accurately reproduces every aspect of the surrounding landscape, like houses, kerbs, traffic lights, lawns and trees, and obviously the course itself. “I can even use my real benchmarks and braking points” is Steve Mercer’s (RC Express Kawasaki rider) first positive comment. 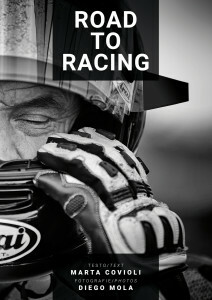 “Exciting, brilliant” echoed the 23 times TT winner John McGuinness. A two year project that involves around 50 people for its development, “TT Isle of Man” videogame is going to include some fictional road racing courses and one real track, the TT Course itself. The most difficult aspect of the whole job, Bigben guys say, has been to find the correct technology – that later came to be a Laser Scanning technology – and to make a videogame out of the huge amount of photographic material, thousands of photos gathered during the whole 2016 TT fortnight. Every house, every road sign, every roughness of the Isle of Man course, in fact, are actually reproduced in the game. This tough job of gathering photographic material will continue during 2017 TT, this time focused on the new liveries, helmets and leathers that bikes and riders will show. Bigben presented the first section of the Mountain Course (Startline – Glen Helen) to Mercer and McGuinness: the definition and precision are almost incredible, and the game is so enjoyable to play that it will easily addict TT and racing videogame fans. Some details are still to be added: spectators, marshals, sponsors, banners, proper bike sounds and also a mini-map of the course on screen. Literally everything you can find at the TT will be in the game: the iconic tap on the shoulder given by the marshal on the start-finish line, the characteristic pit-stops, as well as the changing light depending on the time of the day and location – the annoying low sun in the Greeba section, to name one – but also flies and insects on the bike and much more. “TT Isle of Man” will include 30 bikes overall among Superbike and Supersport, all with real riders. “I can tell my son to play daddy!” exclaims Steve Mercer. “I’m really surprised by the realism. ‘TT Isle of Man’ just takes TT videogames on another level” adds Steve. “I never found the old TT games very useful as everything in them was flat; they just helped you to know where the course goes. This time you really have to ride the bike, it’s not just pressing the controls, you can feel the bike, you can feel the track. I’m impressed. And I think it’s really good for newcomers to learn the circuit and the benchmarks, the road signs, the braking markers. It’s also good because I can share my experience at the TT with my friends at home, they can finally understand what riding at the TT is like…well, apart from the dangers of course! 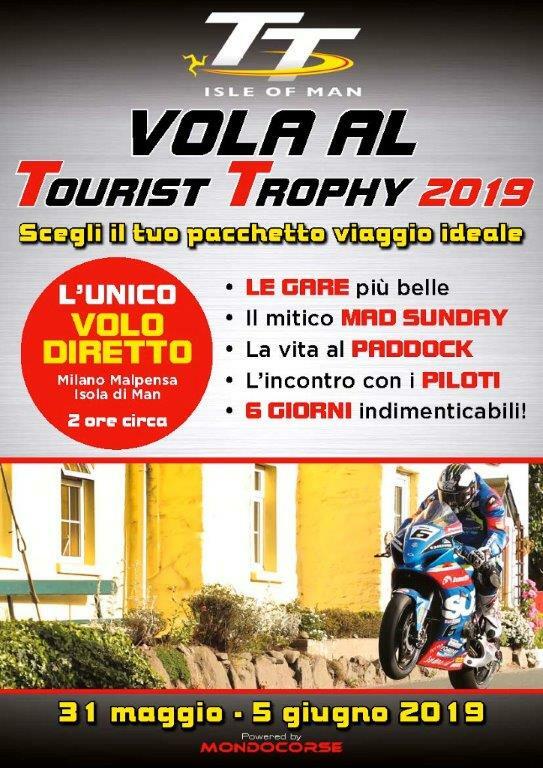 It will also contribute in increasing the interest in the Tourist Trophy”. “TT Isle of Man” videogame will be released this Autumn for PlayStation 4 and Xbox One consoles and PC and it will be distributed worldwide. 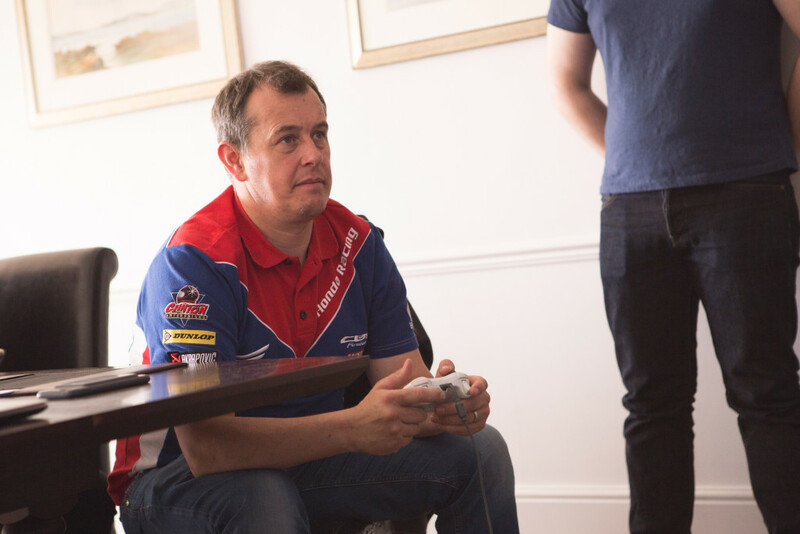 John McGuinness gave some very useful thoughts too, after playing the game at the Sefton Hotel. He highlighted the impressive realism of “TT Isle of Man” videogame and suggested a few interesting improvements: “You need to make the bike move a lot more in the bumpy sections, that aren’t just from Ginger Hall to Ramsey. The bike needs to wheel more in some points“. John also gave some essential recommendations about the exact gears in some sections. “I never play videogames but this one is fantastic. Lines are perfect, I can really use mine. It gives you an incredible feeling of speed, thanks also to the sound of the wind. And it will be 100% helpful for the Isle of Man newcomers”. Bigben will proceed with the development of the game thanks to these precious insights, too. But they need to do one more thing before leaving the Isle of Man, that is recording Clerk of the Course Gary Thompson’s voice: “Attention paddock, attention paddock, five minutes to the start of the race”. Con le parole chiave BigBen Interactive, Isle of Man, John McGuinness, Steve Mercer, Tourist Trophy, TT, videogame. 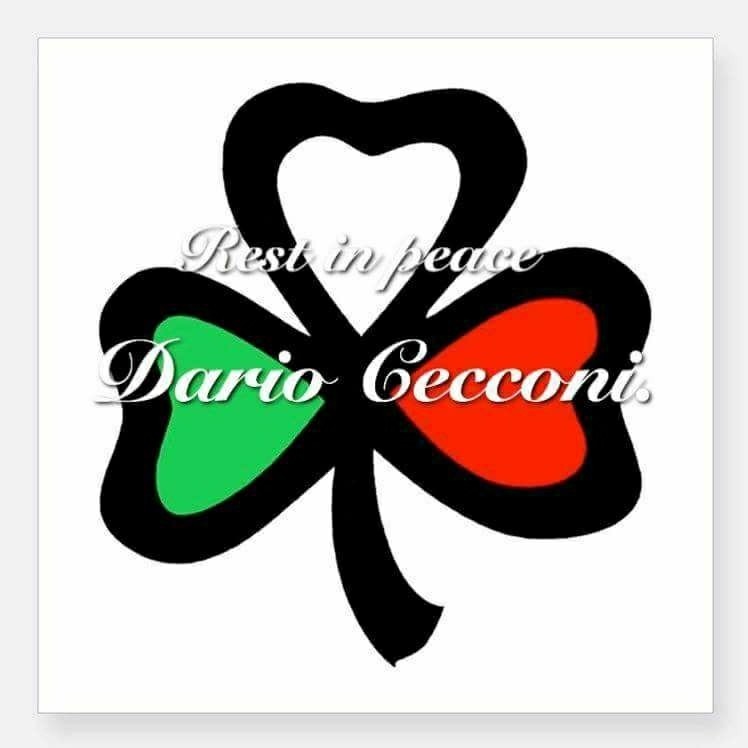 Aggiungi ai preferiti : permalink. Looking forward to this game on PS4, sounds fantastic, well done guys for the effort to get it right. People that are into bike racing know when something has been done well. I have played Ride2, its a good game but they got a couple of the tracks wrong or the lack of detail.